Our process is simple, but we are still here to walk you through it if you need us. We’ll walk you through completion of all closing documents so you can choose your move in date and begin enjoying your new home! If you don’t need assistance and are ready to start then APPLY HERE. What type of mortgages can I apply for? What type of mortgages are available? Mortgage insurance can help qualified borrowers realize the dream of homeownership sooner. It allows you to buy a home with less than a 20% down payment. It provides financial protection to lenders and investors in case of default. With the protection of mortgage insurance, lenders can offer mortgages to qualified borrowers with a low down payment. Protect your home when times get tough. Mortgage insurance from Genworth offers added benefits to give you peace of mind. A safer loan is a smart loan! We help you buy a home faster … and help you stay there for years to come. Learn more about the special Home Suite Home program when you add Mortgage Insurance to your new home loan! Do you offer FHA loans? Many home buyers have heard of FHA loans. First time buyers often use an FHA loan for their first mortgage. This makes an FHA loan a very attractive loan for the first time home buyer and also for families with low and moderate income levels. Do you offer VA loans? A VA mortgage loan is the home loan available only to ex-servicemen and women as well as those on active duty, on which the lender is insured against loss by the Veterans Administration. VA loans come with several benefits and we are happy to be able to provide this funding to our community. Do you offer Rural Development Mortgages? A Rural Development Mortgage is an option for families in rural areas the ability to purchase a home with 100% financing options. Not limited to first time homebuyers. Can I refinance my existing home to save money? Yes. Simply complete our easy 3-step process. Why refinance? It may make sense if you can lower your interest rate or if the value of your home has increased. Refinancing can be a helpful tool for home improvement, debt consolidation or simply lowering your monthly payment. If I have bad credit can I still apply? Yes. You may still qualify for a mortgage even with bad credit. Can I apply if I have a fixed income? Yes. We evaluate several factors concerning your financial situation to determine the best mortgage options for you. Can I lock-in my mortgage rate while the loan is in process? Yes. Visit here for more information. Do I need homeowners insurance before closing? There are many important decisions that must be made throughout someone’s life, so we have collaborated with Isaac Zimmer to help members with all of their insurance needs. Licensed to do business in the state of Michigan, our agents will consult with you on the coverage and premiums that meet your specific needs. Contact Isaac today for a free Home Insurance quote. How is my private information protected? Our site is completely secure, utilizing PCI-compliant, bank-level security software that is continually tested and certified. How much flexibility you have with your monthly payment! Through our simple 3-Step process, you will be able to preview a variety of mortgages and pricing options. We will also help you calculate costs associated with a specific loan program. If you have any questions, just give us a call. We’re here to help! Have our Rate Tracker notify you when a particular rate is available. Have our Loan Consultant determine the products and services that best match your needs. Learn more about options to lock-in your mortgage rate while your loan is in process. Discover the advantages our various mortgages have to offer and learn more about our Rates and Services. First-time home buying can be daunting, but with United Financial, buying your first home has never been easier. We’ve streamlined and updated the entire mortgage process to bring you a faster, more technologically advanced way to finance your home. We’re pleased to be helping you purchase your first home. The more you know about the home buying process, the more confident you will be in making the important decisions that will shape your home ownership experience. Can I pay the up-front costs? Can I pay the ongoing monthly mortgage and other living expenses? We’ve provided a wide range of calculators for you to use to determine some preliminary answers. Just plug in your figures and see if it all adds up. Constructing your dream home may be one of the most exciting and fulfilling things you will do in your lifetime. However, it may be the most expensive and time-consuming project that you’ll ever undertake. United Financial provides quick and easy financing for new home construction. We will save you both time and money so you can focus on your new home’s construction, and not need to worry about getting your project financed. Why refinance? It may make sense if you can lower your interest rate or if the value of your home has increased. Get value out of your home and start saving by refinancing. Refinancing is simple. Are you ready to get started? For those looking to purchase the perfect weekend getaway on the lake, United Financial makes financing a vacation home almost as enjoyable as the time you will spend in it. There are numerous tax considerations and rates associated with second home mortgages. 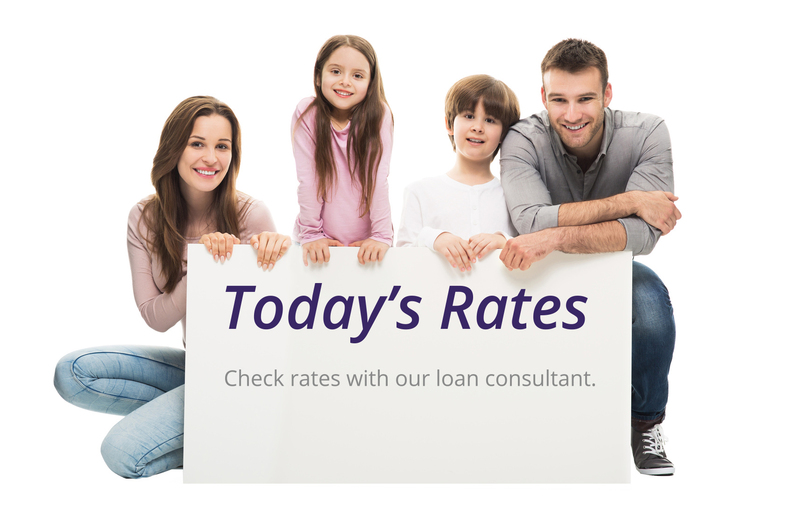 We are here to ensure that you get the best rate possible and answer any questions that you may have. Real estate can be one of the soundest investments you can make. However, unlike putting a few thousand dollars in a stock or retirement account, investment property can require a six figure commitment. To make a sound property investment, you need sound advice and a lender that works with you to provide the best rate on mortgages for investment properties. United Financial makes financing your investment property painless and hassle free.